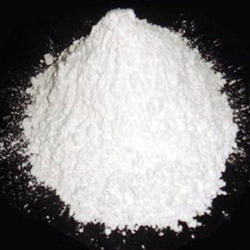 Barium Carbonate in India is a white crystallized compound that has wide range of applications used in ceramics, cements, bricks, rat poison and also in food and drink. Barium carbonate in India is prepared by treating barium sulfide with sodium carbonate at 60 to 70°C or by passing carbon dioxide at 40 to 90°C. The another method of preparing Barium Carbonate is by soda ash process, In this process sodium carbonate is added to barium sulfide solution, and the obtained barium carbonate is filtered, washed and dried. It combines with some coloring oxides to produce unique colors which are not easily obtained by other chemicals. Barium carbonate is added with clays to precipitate soluble salts that cause efflorescence, which is used in the brick, tile industries. Used in Chlor-Alkali Industries during the pre-treatment of Brine that contains large quantity of sulphates and other Metallic Impurities require high degree of purification prior to electrolysis to avoid cell damaging. Barium Carbonate in India is used in the treatment of Brine helps to remove sulphates as Insoluble barium sulphate, calcium and magnesium salts as insoluble carbonates. Used in the Manufacture of other Barium Compounds such as Barium Chloride, Barium Nitrate and Barium Sulphate. Used as a fluxing ingredient in enamels, glazes and ceramic bodies. Used in oil-well drilling industry to stabilize the desired properties of baryte suspension used as drilling mud. Used in the manufacture of photographic paper, to generate Barium Sulphate in the paper that imparts a flat white appearance. Used in the glass industry, containing various percentages of Barium Oxide is used for several purposes. To obtain Barium Oxide with required percentage, Barium Carbonate is added to the mix. Used in the ferrous metallurgy, Barium Carbonate is used in some systems for steel carborizing. Packing: 25 / 50 Kg Polythene laminated H.D.P.E. bags and 1 Metric ton jumbo bags.